Been looking for a good starter telescope and have narrowed it down to three choices. Looking for either a Refractor or Compound scope so I can use it for terrestrial viewing as well as astronomy. Also looking for a scope that is reasonably compact and portable as I don't have a car to transport it, so some massive dobsonian reflector is out of the question. Just going to be using it for optical viewing and not astrophotography so I don't need a tracking or computerized mount. Hoping to keep it under $500. This one seems to have really good reviews and is often recommended for beginner to intermediate level. This is about at the limit I'd want size wise though. Would it be a lot better than say the Orion Observer II 70mm? Specifically at planetary observing? If there's not going to be a major difference I might go to the 70mm as it's smaller. Has a much simpler mount be seems to be very powerful for its size and would be very easy to transport. If for terrestrial viewing, the image is going to be upside down using a regular astronomical telescope. I recently purchased and received a 5 inch diameter telescope offered by Astronomers Without Boarders, but as you probably know, they don't ship outside of the USA, so what's the "without boarders" part of that? Maybe you know someone who can help state side, but they are only 200 dollars delivered. I believe that only reflector type telescopes invert the image like that. With the refractors that I was looking at the image will be reversed horizontally, but not vertically. Big advantage of the reflectors is that they tend have much larger apertures and you'll get much more light in allowing for better deep sky viewing. I remember that $200 telescope from Astronomers Without Borders. That is the telescope I will get if I get to the point where it seems worthwhile to me. For the money it is the best you can get. I've read the reviews and everyone says that if you are going to spend $200, yo9u can't get a more powerful scope than that one. Yeah, because of the diagonal even the refractors will have the mirrored image. Are you able to see any planetary detail with that scope? Cloud bands on Jupiter, Martian polar caps or any of Saturn's moons? I have the evolution 8” by Celestron. Yes I spent 2k but it even sets itself up. All I do is turn it on and it takes pictures of the sky. When done I just tell it what I want to see. I spent350. On @ televu3 e etbrit3 diag it made a world of difference. 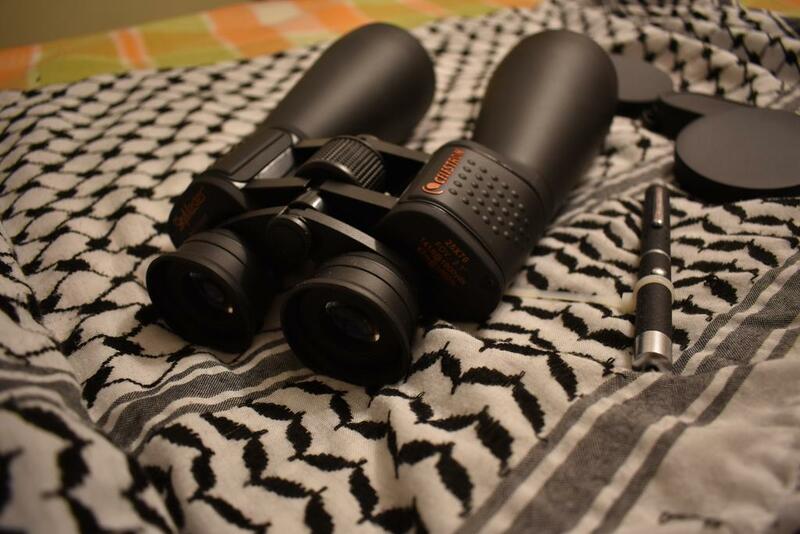 I use baader Hyperion eyepieces. Have you tried binoculars to start? I have a pair of 4” bino from oberwerk that rock. You can’t see planets well you can but you need the 900.00 bino telescope. Got 70mm. Not worth it for planets. Save your pennies. The 8” is very portable. I drag it out few times a month. I would have thought the 5 inch reflector scope from Astronomers Without Borders would be able to make out Saturn's rings and Jupiter's moons. Are you certain the thing is set up properly, Chris. I know you have to set up the reflector to get the best focus along with the eye piece. I just looked at the website. That's a very nice scope to start with. He mentions astronomical binoculars as a first choice. I don't know what planets are visible from Qatar, but I get a good shot at Venus from my porch from time to time. I would think Mars would be easy as it is fairly red. But, it could have been most anything, I guess. Mars is easy to spot, it has a little 'M' next to it. Don't confuse it with Mercury! Mars is up for you at sunset. Your a lot farther south. Sunset is a full hour earlier right now. Mine is like 9pm. Yours is 7pm. Get at least 100mm 4”. To start. Anything smaller is planets only. Planets are only around part of the year. Typical starter scope is 6” Newtonian reflector. A 90mm mak is really a terrestrial scope. 70mm is the largest hand held bino you can use without tripod. I have 20x80mm pair and it’s a workout. My fav bino is my fujinon50mm. My largest is a 25x100mm. That beast is absolutely tripod only. Don’t forget bino is wide field fixed power. Great for m31, m22, m8, m42..... you need aperture for smaller faint stuff like m51, m81/82....and those are not faint. I do have a pair of astronomy binoculars, the Celestron SkyMaster 25X70. Very good for lunar viewing and also amazing for terrestrial viewing. Very happy with them, but time to upgrade to something a little more powerful. Still watch the vid for his recommendations. Plenty of other YouTube recommendation vids.